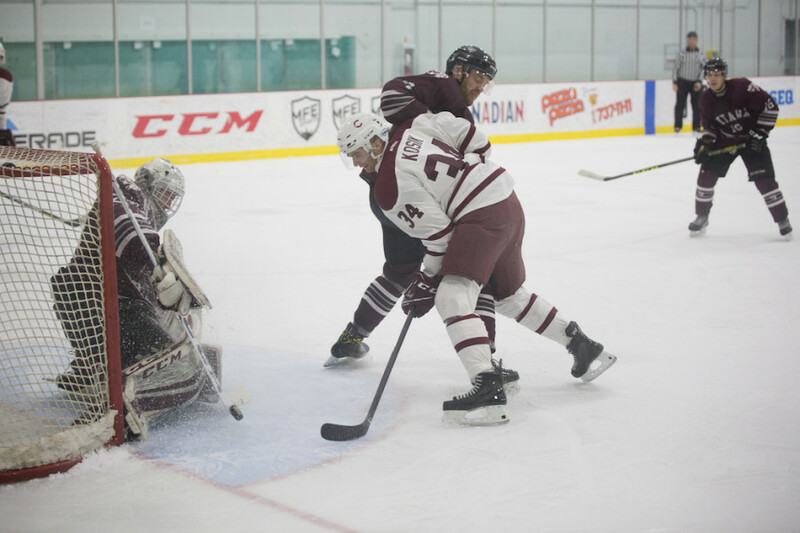 The Stingers lost their third straight game Friday night against the Ottawa Gee-Gees at Ed Meaghar Arena. Here is a wrap-up of how the game went and what it means for the team going forward. Here’s the full recap of that game. The Stingers dominated the first period, which is not something the Stingers have always been able to claim this season. The formula for the men’s hockey team has often followed a slow start preceding a sudden awakening and plenty of goals along with it. Last night, the Stingers ended up doing that in reverse. With early goals by forwards Massimo Carozza and Raphael Lafontaine and assists by the usual suspects Anthony Beauregard and Carl Neill, the Stingers were in control of the game heading into the second period. But after their strong start, the Stingers fell flat. The team played with “no emotion,” as team captain Phil Hudon put it. The Stingers got away from themselves, missing chances they’d usually convert and letting the Gee-Gee’s get back into a game against a better team. Perhaps the usual intensity of the team was with head coach Marc-André Élément who was serving the first game of two game suspension. Perhaps it was simply the lack of confidence that comes with losing three of the last four games. Whatever the case, the intensity and emotion that has defined much of the Stingers’ season was missing. The second period was a weak one as the Stingers couldn’t capitalize and allowed the Gee Gee’s to bring the game within one in the dying minutes. The third was no better and saw the game tied within minutes. 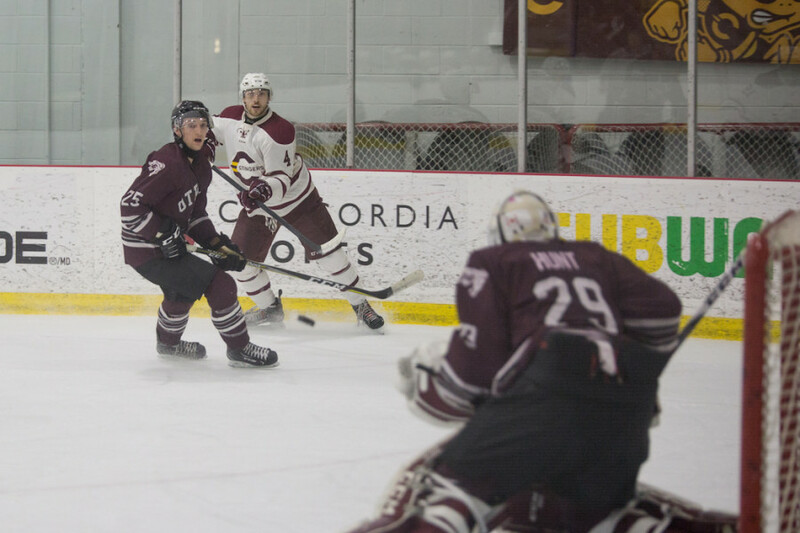 Powerplays were unusually weak for the Stingers and their inability to score on the man advantage was their downfall ad the game winning goal was scored on a shorthanded breakaway after Concordia lost the puck on a power play with three minutes to play. Raphael Lafontaine was the standout against Ottawa. His work not only netted him a goal but was a major factor in Concordia killing off four of Ottawa’s five power plays. He forced Ottawa goaltender Graham Hunt to earn his saves all night while also keeping Ottawa’s puck-possession heavy offense in check. Lafontaine may not have the star power of a Beauregard or Sanche but there are games like these where his necessity for team success is on full display. He’s been credited by his teammates as being a leader on a regular basis and his ability to play a strong, fundamentally sound game in any situation has been a major asset to the Stingers this season. Watching the newly formed line of Kosic-Gignac-Oke shows how helpful the players who do the little things well are. The line may not have ended up on the scoresheet but it was one that was constantly making good things happen. Gignac in particular left a quiet but lasting impression. The rookie centre is still finding his way in a very new, difficult league for a 5’7, 158 pound forward. But With three goals and five points in nine games he’s earning his coaches’ appreciation. “He’s been a helping hand […] he’s taking time to adjust, he’s playing well,” said assistant coach Kieffer Orsini. The Powerplay. The Stingers went 0/3. Not only did they fail to produce on the man advantage, but they allowed the game winner while up a skater in the dying minutes of the game. The usually deadly powerplay looked out of sync and listless throughout the night with Ottawa predicting every move the Stingers made. “We’re missing some key bodies on both [power play and penalty kill] units […] so we had to make some last minute changes,” said Orsini. He was referencing team sniper and leader in power play goals Sanche, who missed the game due to injury but should be back in against the Royal Military College Paladins Saturday night. The Stingers continue their worst slump of the season with their fourth loss in five games. Since the holiday break, they have struggled to emulate their strong start in the Ontario University Athletics season. Hudon isn’t wrong. With the playoffs just three games away, Concordia needs to reset and find the formula that made them successful throughout the season. 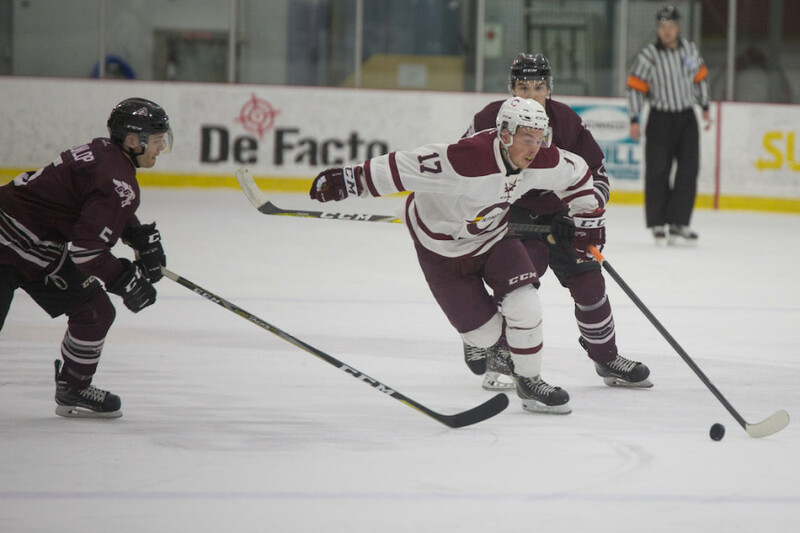 They sit fourth in the OUA with 33 points, just three ahead of the University of Ontario Institute of Technology Ridgebacks and two behind the Carleton University Ravens. “We don’t have room to sit down and feel sorry for ourselves. We play tomorrow,” said Orsini.